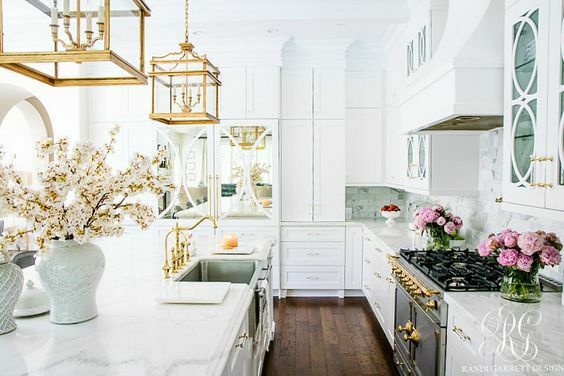 Tufted furniture always gives rooms an elegant and royal feel. Even though the price tags of tufted furniture aren’t always something to smile about, we’ve got a way for you to make your very own! 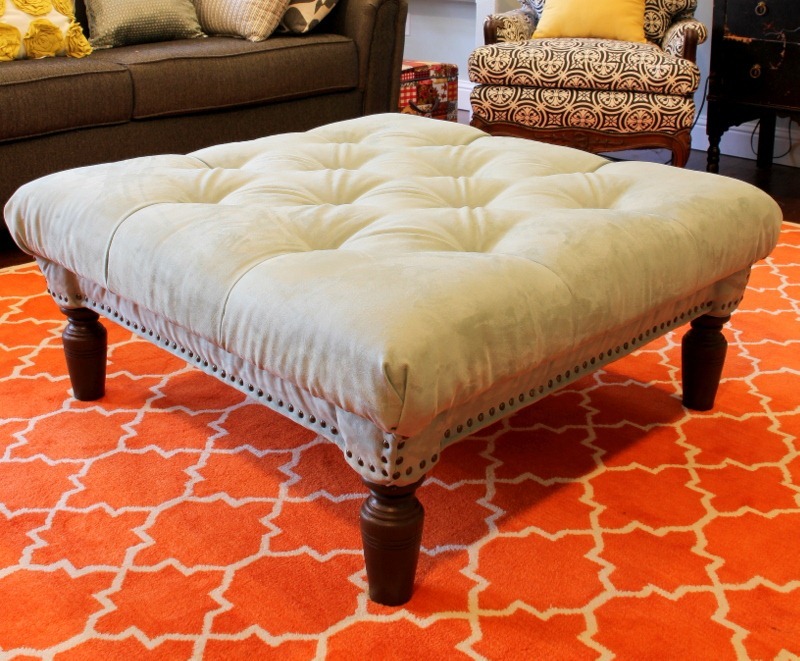 This tufted ottoman is cheap and easy to make, and doesn’t take a lot of time, either! 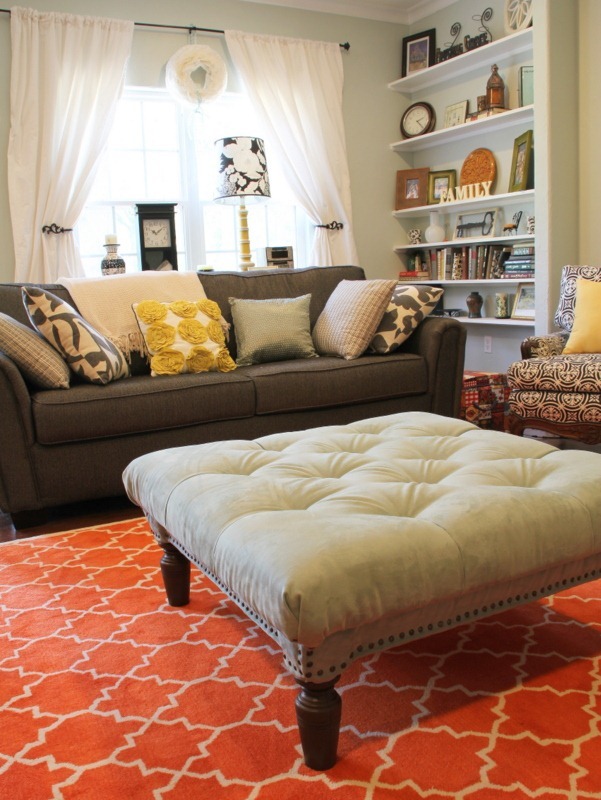 Turn an old, junky coffee table into something fit for royalty with this easy tutorial! 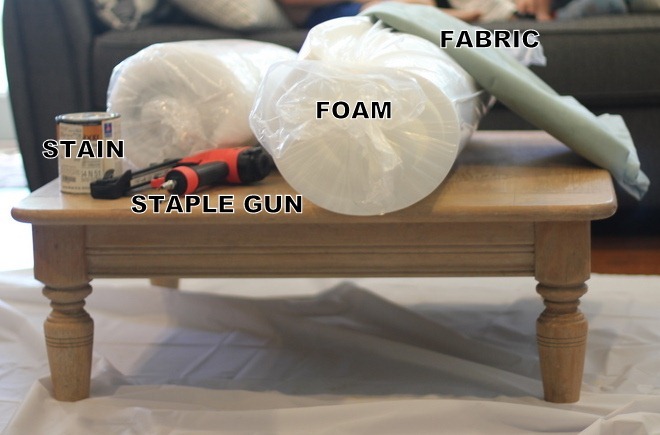 Forget about the high price tags that usually come with tufted furniture, and make your own for super cheap! 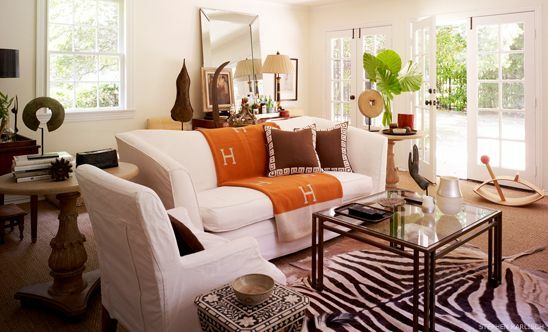 Decide how you want your tufting pattern to look like and drill holes through the coffee table. Cut the foam to size and place it on the coffee table. Next, wrap the coffee table in quilt batting. Staple the batting under the coffee table to hold everything in place. Stain the legs of the coffee table if needed. 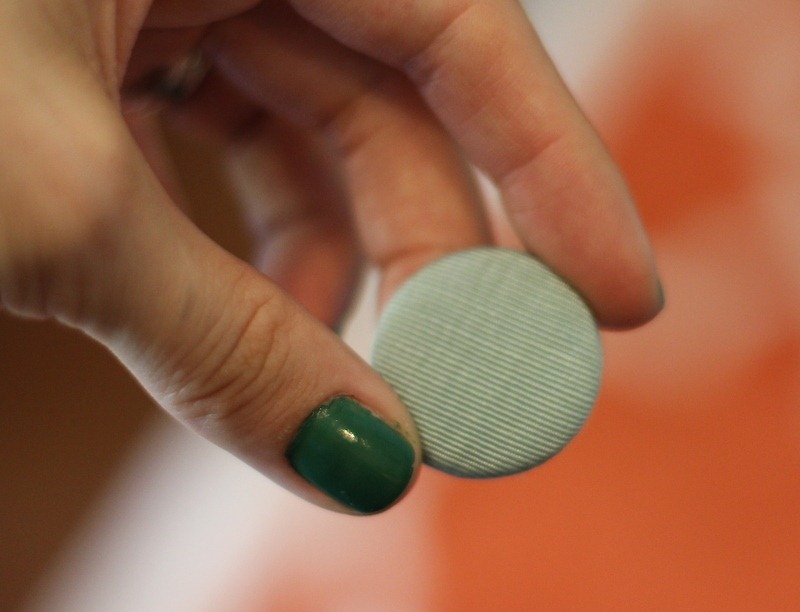 Cover the upholstery buttons with matching fabric if needed. 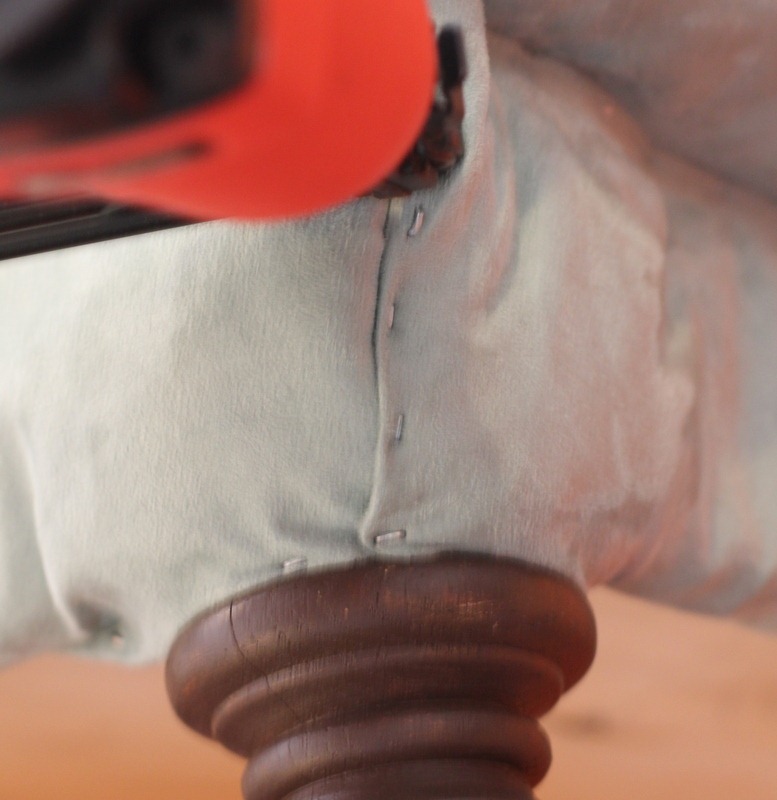 Thread the buttons through the pre-drilled holes using an upholstery needle and secure on the underside of the coffee table. 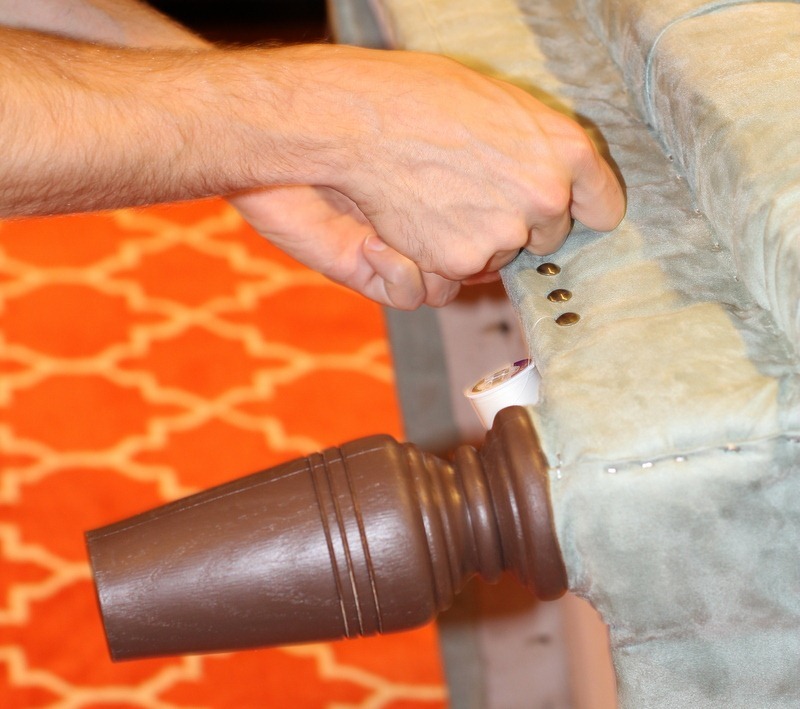 To create the tailored band around the base of the ottoman underneath the tufted top, cut four fabric strips that are the length and width of your ottoman. For this coffee table, four 6″x40″ strips were needed. Staple the strips underneath the ‘poofy’ top section of the ottoman. Fold the strips underneath and staple them to the wood. 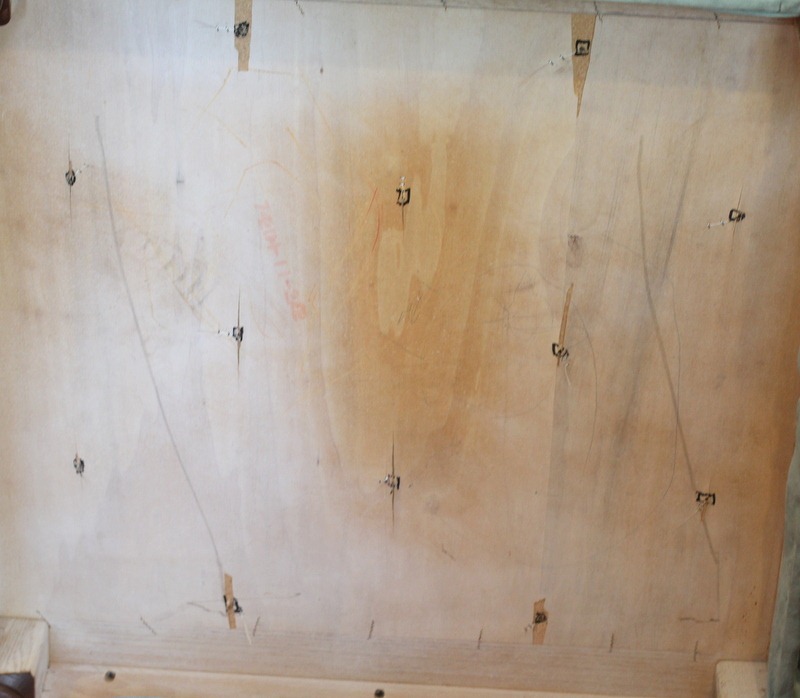 Add nail head trim to cover the visible staples. 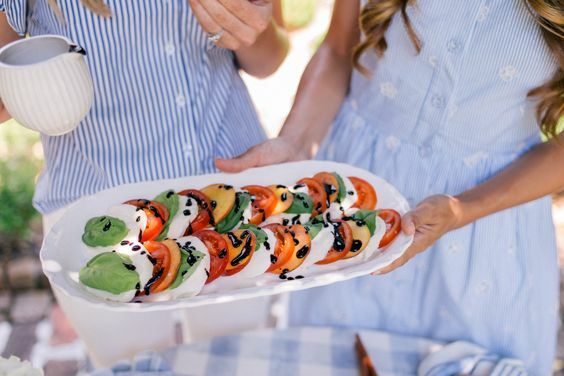 Photos and idea: M is For Mama.